WASHINGTON — For the last few years, the United States could neatly sum its objective in Syria in a single, uncontroversial bullet point: fighting the Islamic State group. Now that the extremists have been squeezed from all but the last bits of their former territory, the Trump administration is struggling to define the boundaries of its mission, and how and when America’s lengthy engagement will end. 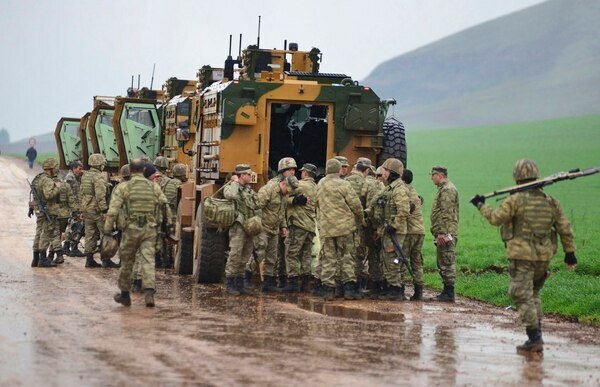 A crisis between the U.S. and Turkey, triggered by the latter’s new military offensive in Syria, has laid bare how a dizzying array of alliances in Syria is growing even more convoluted in the absence of IS as a major force. Either the Americans must abandon the Kurds who fought alongside them in Syria, or a profound rift with a NATO ally appears all but inevitable. 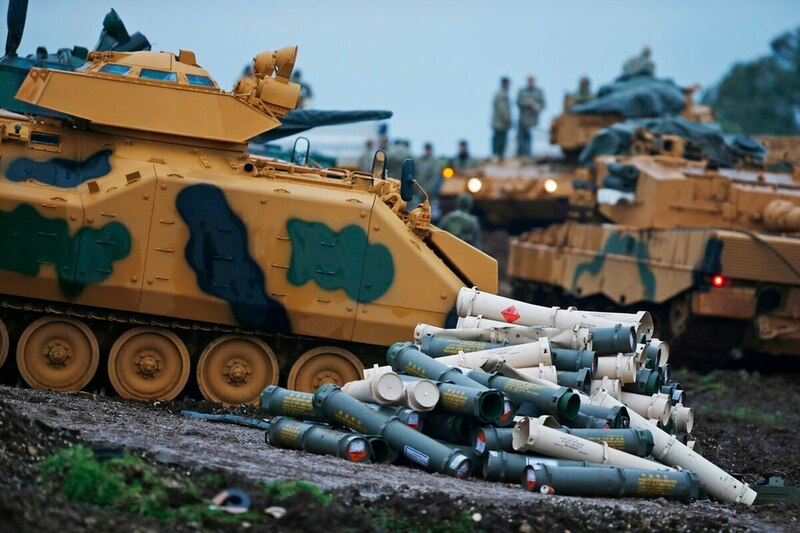 Although Turkey has long been incensed by U.S. military support for Syrian Kurdish fighters, calling them terrorists, the U.S. could make a compelling case while the Kurds spearheaded the anti-IS fight. As IS recedes as an immediate threat, the legs of that argument are falling away, fueling growing Turkish outrage that even the Trump administration acknowledges has some merit. “This is a tough circle to square. It’s the ultimate in heavy diplomatic lifting,” said Frederic Hof, who oversaw Syria policy in the Obama administration’s first term and is now at the Atlantic Council. Turkey’s air and ground offensive against Kurds in northwestern Syria has distracted from international efforts to finish off the Islamic State group and has disrupted humanitarian relief work, U.S. Defense Secretary Jim Mattis said Tuesday. The Islamic State’s retreat also has forced the U.S. to stretch thinner its legal rationale for operating in Syria. Doing so has raised delicate questions about whether Congress and the American people have truly signed off on a mandate for Syria that goes far beyond killing terrorists. Senior Trump administration officials said they need no additional authorization to be in Syria because IS remains a serious and persistent threat, requiring a continued U.S. presence to ensure it doesn’t regroup and again imperil Syria’s future. To keep IS on its heels, America’s military, diplomats and aid workers will work to stabilize the country and restore basic services in areas freed from IS control, while trying anew to engineer a political solution to the intractable civil war whose chaos IS so effectively exploited. Such arguments create another problem, especially for a president often eager to claim successes: Trump cannot declare victory of any sort against IS in Syria without empowering those who argue IS’ defeat means the U.S. has no business staying in Syria. Small pockets of IS fighters still active in eastern Syria back up the U.S. justification — for now. On Tuesday, American airstrikes killed up to 150 IS fighters at a command center in the area known as the Middle Euphrates River Valley, the U.S.-led coalition said. The U.S.-backed Syrian Democratic Forces — comprised largely of Kurdish fighters — helped. The U.S. sees another threat in al-Qaida’s potential resurgence. It also wants to stem Iran’s growing influence in Syria and Russia’s support for Syrian President Bashar Assad. With Moscow’s help, Assad’s forces have moved into territory once held by Washington-backed rebels. The Trump administration’s messaging Tuesday highlighted Syria’s combustible mix of conundrums for the United States. In Asia, Defense Secretary James Mattis chastised Turkey for its offensive against the Kurds. And Secretary of State Rex Tillerson in Paris and U.S. Ambassador Nikki Haley at the United Nations renewed accusations of Russian complicity in chemical weapons use, following claims of a new attack this week outside Damascus. “Whoever conducted the attacks, Russia ultimately bears responsibility for the victims,” Tillerson said at a meeting designed to ensure accountability for chemical weapons strikes. He noted Russia has twice vetoed U.N. Security Council resolutions to allow inspection teams to prolong and expand probes of alleged chemical attacks. Trying to explain America’s Syria policy last week, Tillerson said the U.S. would retain a military presence there for the foreseeable future to prevent IS or al-Qaida from regaining territory. He cited another objective, too: assisting with reconstruction projects to encourage Syrians to reject Assad. Turkey’s angst about growing Kurdish strength near its border boiled over in recent days with the Turks launching a military operation against Afrin, a Kurdish-held enclave in northern Syria. Turkey considers Syrian Kurdish forces to be intrinsically linked to the PKK, an insurgency the Turks have battled for decades. The U.S. concurs that PKK fighters are terrorists, but insists that its Kurdish partners in Syria are unconnected to that group. Turkey and the Kurds, who led the offensive to retake the former IS capital of Raqqa, feel entitled to U.S. support. So the Trump administration has tried to split the difference, acknowledging Turkey’s security concerns while urging “restraint.” That balance hasn’t quelled the situation. For the Kurds, an ethnic minority in multiple countries of the region who’ve been abandoned by more powerful allies before, the result could be worse than distraction. The U.N. says an estimated 5,000 people have been displaced by fighting in northern Syria, and it’s unclear what the U.S. is willing to do to calm the situation. Asked if Washington had a moral obligation to the Kurds, senior U.S. officials who briefed reporters on condition of anonymity said Trump’s “America first” doctrine dictated that the U.S. always prioritize its own interests. Lee reported from Paris. AP National Security Writer Robert Burns in Jakarta, Indonesia, contributed to this report.